The long awaited Encyclopedia of Ancient History is now available after repeated publication delays. 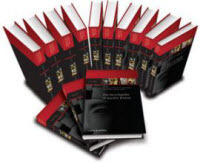 Unparalleled in scope with over 5,000 original, peer-reviewed articles, the Encyclopedia covers subjects ranging from the ancient Near East to Pharaonic Egypt, the Roman Republic, and Late Antiquity. Five general editors, twenty-three area editors, and a total of 1,827 scholars collaborated on this project. Villanova University’s own Christopher Haas, PhD, contributed articles on Axum and Hypatia. Although available in thirteen print volumes, the Encyclopedia was conceived and planned as a digital reference work. Its content will be continually updated, and new articles will be added over time. Readers are encouraged to contact the editorial board with corrections and suggestions for additional entries. Searching and browsing the contents of the Encyclopedia seems unnecessarily complicated. 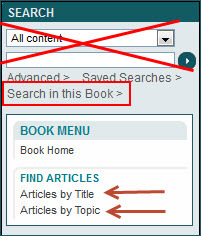 A first-time user will be tempted to simply use the search box on the start page, which will retrieve keyword matches from all Wiley-Blackwell titles. Only upon closer inspection will the reader notice the “Search in this Book” link beneath the search box. The “Find Articles” options on the left menu are barely noticeable as well. Articles are organized in twenty-two topical categories to facilitate browsing. The scope of the Encyclopedia makes it easy to compare topics between various ancient civilizations. A good example is the seven different entries on calendars. Articles vary in length but rarely exceed ten pages. PDF files of articles are available for downloading. Each article lists references and suggested readings. A good number of references are written in foreign languages, but available English language translations are included as well. A “How to Cite” link generates a basic citation for each article. Alternatively, citations can be exported to RefWorks or EndNote. Overall, this is an excellent new reference title and a good starting point for undergraduate and graduate students alike.